On our recent holiday to Greece we would walk along the beach most afternoons. 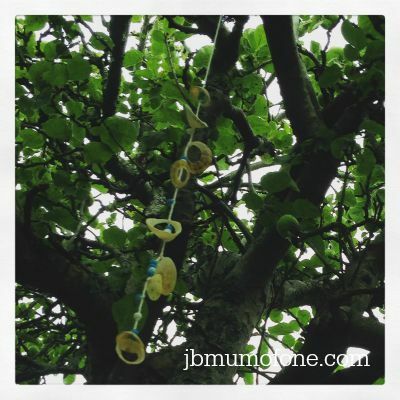 Each day we would pass a tree that had been decorated with multiple strings of seashells and old wooden spoons which had been painted white and blue. 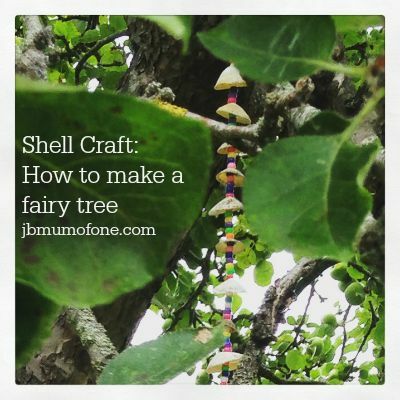 Each day my Mum would point it out to the Boy and tell him it was a fairy tree. 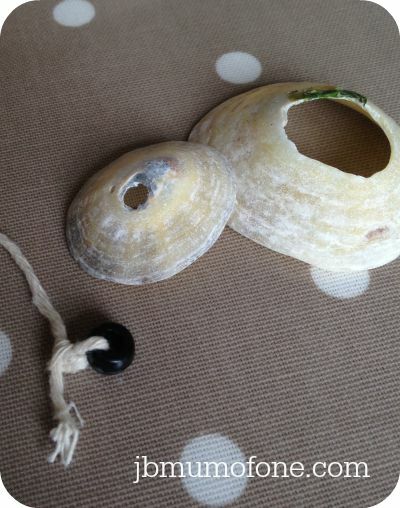 First we tried a bead to the end of our length of string which acted as the ‘anchor’. Then we added a shell. 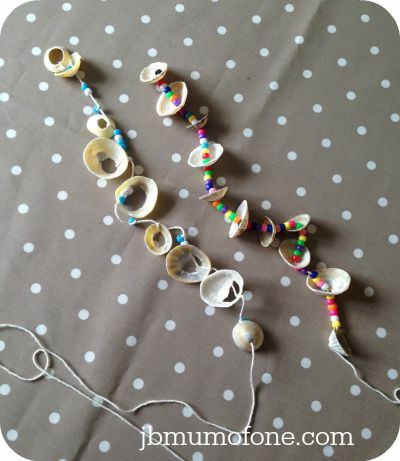 Then we added beads and more shells in turn, sometimes simply by threading but for the shells with larger holes we knotted into position. We kept on adding until we had a decent length. 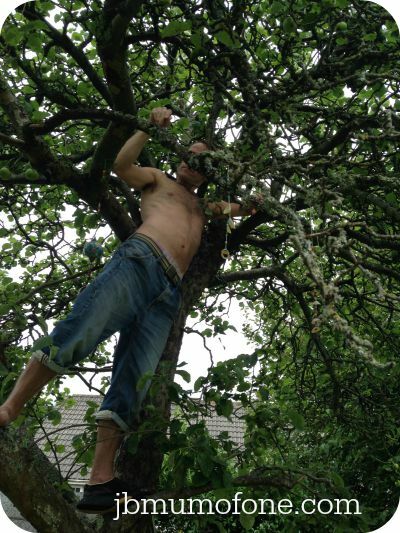 Then we asked Daddy to climb the apple tree and tie them to the branches. …and waited for the fairies to arrive. 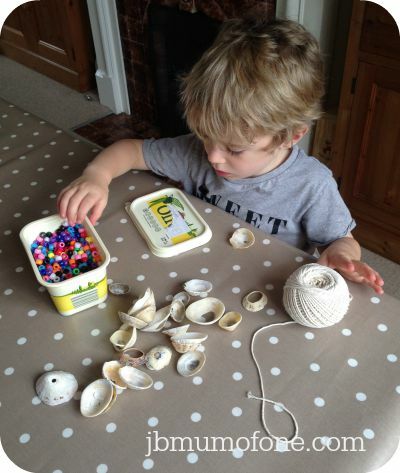 For more simple craft ideas why not follow me on pinterest or check out similar posts here? 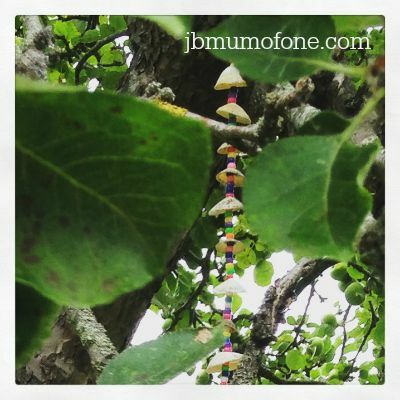 Follow jbmumofone’s board Kiddy-crafty-crafty-ness on Pinterest. These are a lovely idea and definitely one I will be trying with my girls. Your Pinterest board looks great too (lots of inspiration for the summer holidays!). #parentingpinitparty Pinterest: mealsandmakes.